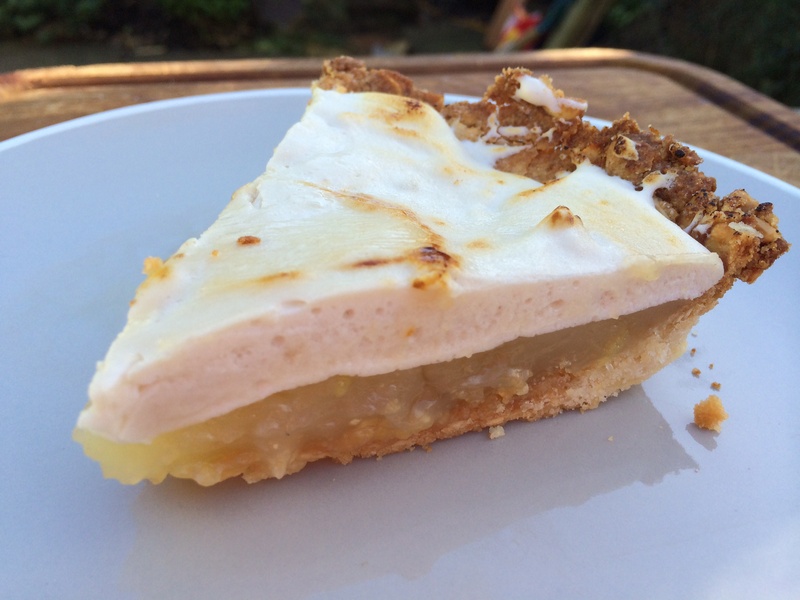 Yes, you read that right – this is a completely dairy and gluten free lemon meringue pie! Can you believe it? I’m not sure I can but I am ridiculously excited about it! 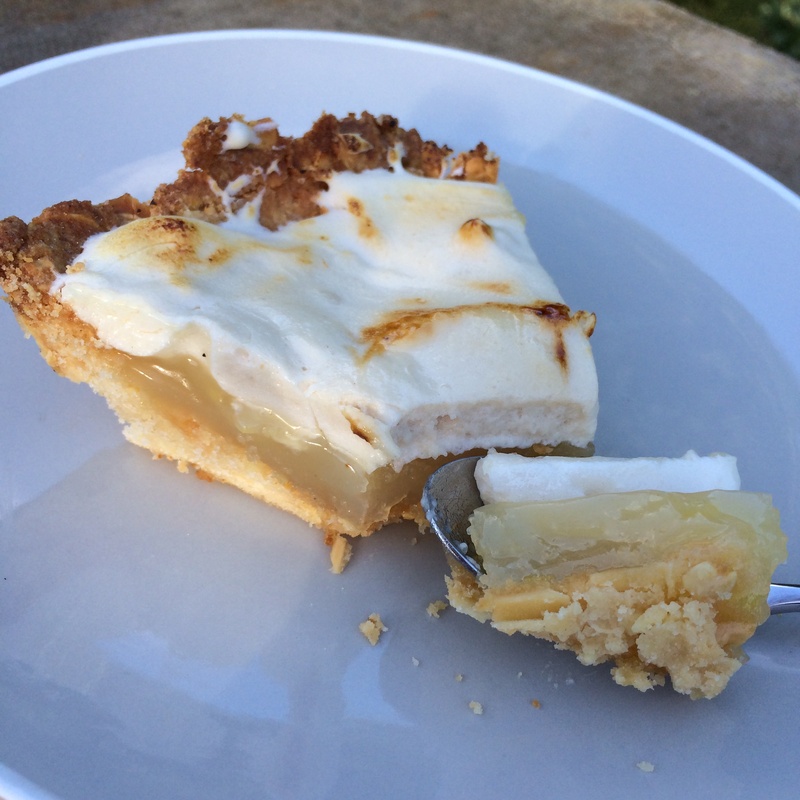 I’ve been obsessing about lemon meringue pie lately but really wanted to avoid the traditional gluten and dairy-filled pie recipes. I wasn’t sure I’d be able to pull this off but… oh my word – I definitely have! This is so yummy and really pretty easy too. 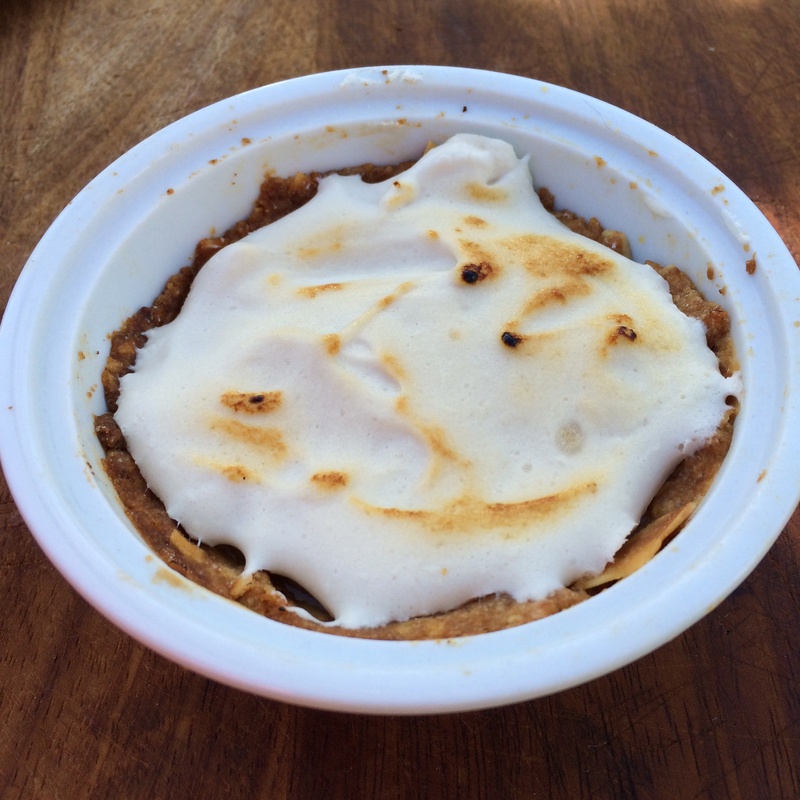 This recipe is in 3 parts – the pastry shell, the curd filling and the meringue. 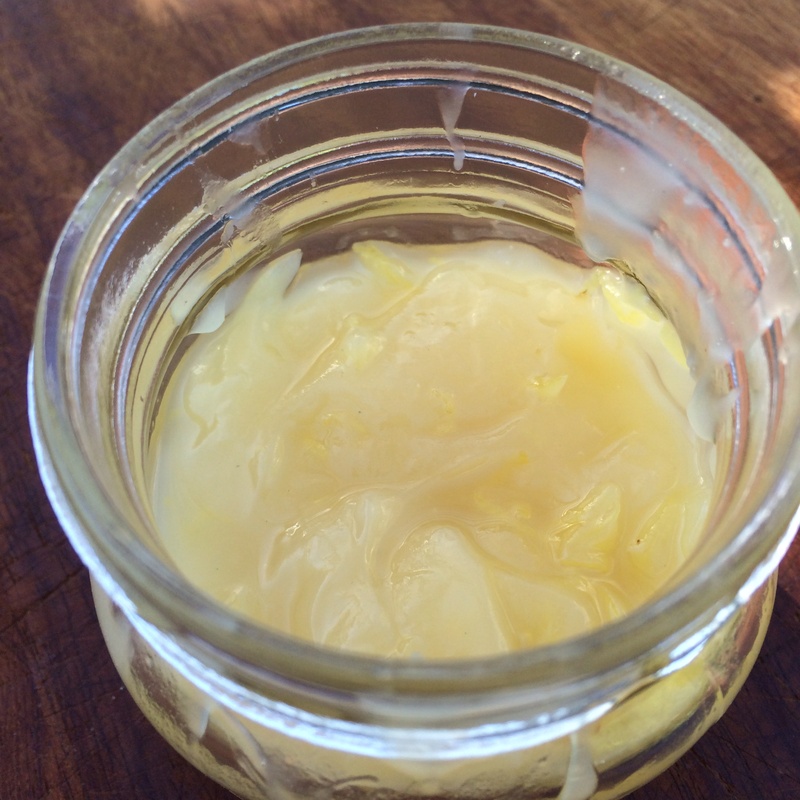 The curd is super easy and the recipe has been posted separately (here) but I’ll re-post it here for ease. The curd recipe will give you more than you need but that’s ok – you can save it for later (or make some extra mini pies too!). If you want a thicker meringue then simply double the meringue ingredients. Make your curd filling to start with (you can make the curd well in advance – it will keep for a few weeks in the fridge). Add the rest of the ingredients, whisking the whole time, and cook for 3 minutes. Have a little taste – if it’s not sweet enough for you then stir in some more sugar. Remove from the heat, pour into a bowl and allow to cool in the fridge. Place clingfilm over the bowl to avoid a skin forming. While the curd cools you can make your pastry. 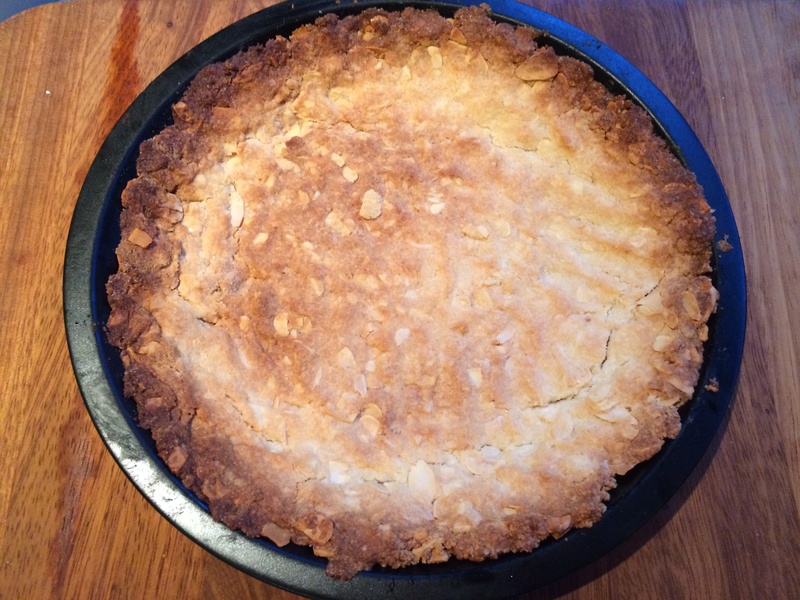 Preheat the oven to 180 C and grease a 20 cm flan or pie dish lightly with almond oil. 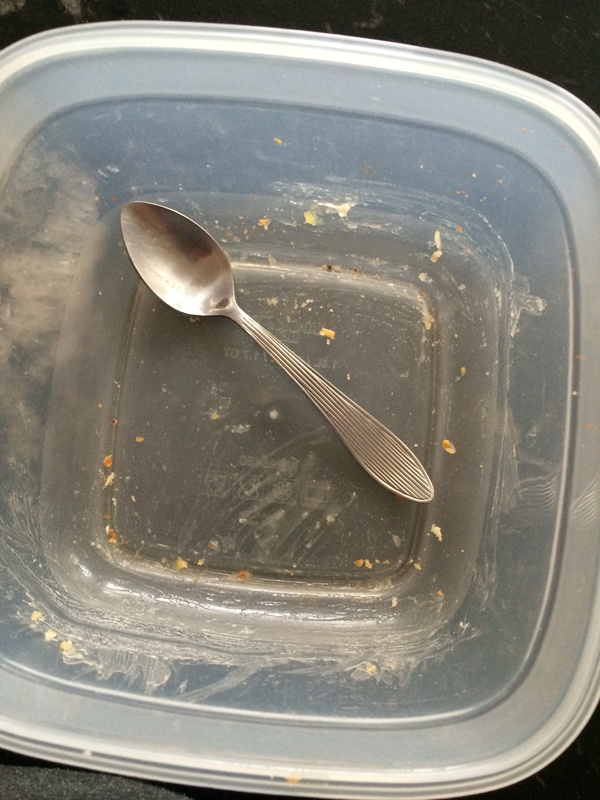 Put the ground and flaked almonds into a bowl with the flour and salt and stir to combine. Keep stirring and add in the olive oil gradually. Add 2 tablespoons of almond milk and keep stirring. The mixture should hold together when pressed, if it doesn’t then add some more almond milk, stirring all the time, until it does. At this point have a taste. If you want a sweeter pastry then add some more sugar until you get the desired flavour. Press in to the flan dish. You may well have some pastry left over – if so you can either make some mini-pies or you can create little flat biscuits with the leftovers (just bake until cooked!) . Bake in the oven for 15 minutes or until set and barely golden. Remove from the oven and brush the pastry with a little almond oil and return to the oven for a few minutes to set then set aside to cool. Once the pastry has cooled fill it with as much curd as you fancy and place in the fridge while you prepare the meringue. Preheat the oven to 100 C.
Put the egg-replacer in to a large, clean, dry mixing bowl. Add a small amount of water and begin to whisk – ideally with an electric hand blender if you have one. It will form a sticky paste. Continue to mix and add a little water at a time, together with a little sugar. Whisk the whole time and add the water and sugar very gradually. You will see that the paste begins to rise. Whisk until you have stiff peaks and it is a marshmallowy consistency. Remove the filled pie from the fridge and spread the meringue over the top. Allow to sit for 10 – 15 minutes so it begins to set. Then place in the oven for 30 minutes. 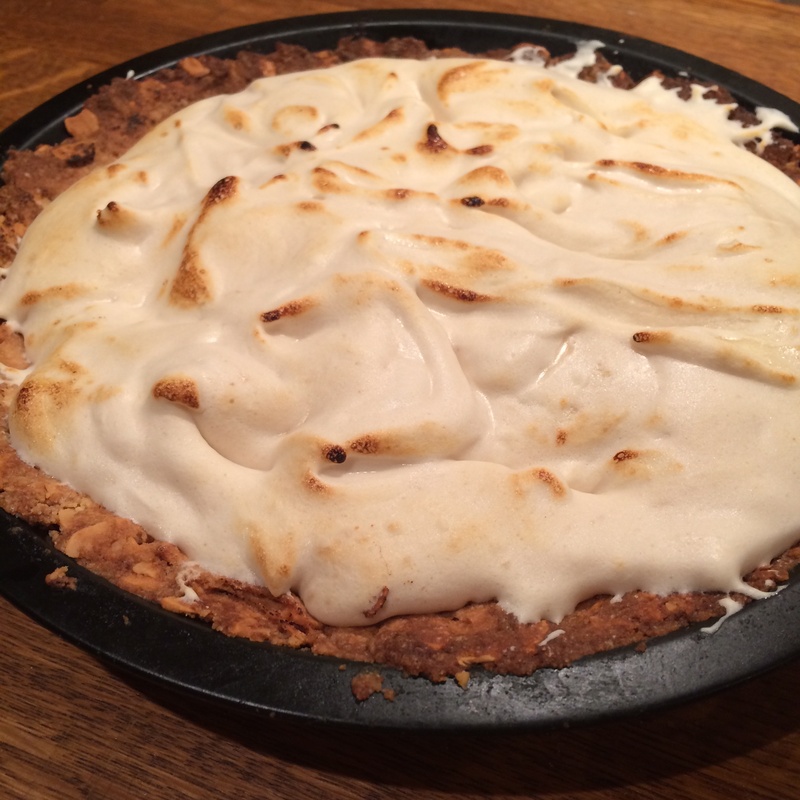 If you want a browned finish to the meringue you can use a cooks blow torch to add that effect. Allow to cool (if you can wait – I confess, I couldn’t!) and then enjoy!